Just like people, no two ponds are exactly alike, which means management is necessary in order for the pond to thrive. Everything from fertilization that will enhance food availability for fish, to adding stock, to harvesting measures that will both control weeds and maintain the ratio of predator versus prey, needs to be thought about in order to transform the pond into a bountiful place. Although ponds are complex ecological systems and require personal commitment when it comes to a management plan, creating a healthy pond is neither a difficult or expensive process. Basic and affordable techniques combined with the right knowledge and common sense, will have those ponds out there, containing both bass and bluegill, thriving. And the first and foremost issue that needs to be taken into account is choosing the correct fertilizer. The American Sportfish Hatchery is a truly informative company when it comes to issues of pond management, and their development of Biologic Perfect Pond Plus, is a result of their expertise. Highly recommended, this granular water-soluble fertilizer with a micronutrient package, is seen as the best for managing your pond. 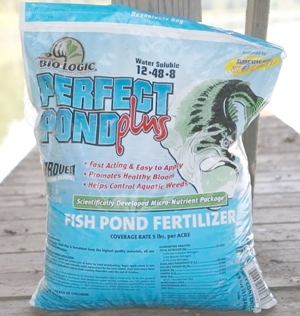 From establishing and keeping the bloom to creating the zooplankton which is the first step to seeing a stunning end result, utilizing this fertilizer will allow you to reach maximum fish size and health. Broadcast at a base rate of 5 pounds per acre, it is also far easier than heavy liquids. Applying the correct pond fertilizer offers the same range of effects as fertilizing a garden - increasing the production. When it comes to ponds, studies have proven that pounds of fish produced may increase over 300 percent with proper fertilization. An infertile pond can have a total carrying capacity of less than 50 pounds per acre; whereas, a well-fertilized pond may produce 250 pounds+ of total fish per acre, providing a great deal of opportunity for catching that trophy. The biology is simple: Pond fertilizer works from the ground-up, so to speak. By increasing small, green, single-cell plants called, phytoplankton, the tiny insects called zooplankton that eat the phytoplankton also increase. These little insects are then eaten by larger insects, which are then eaten by Bluegill. 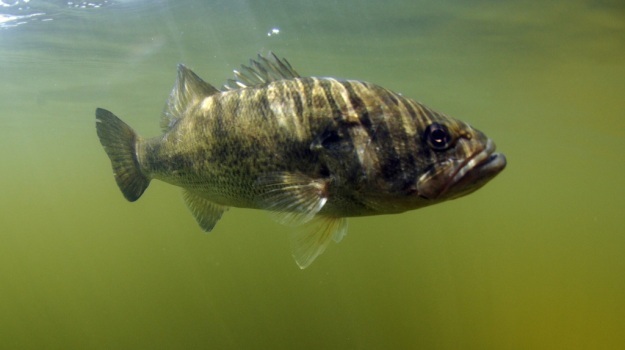 Bluegill are eaten by Bass and…the end result? 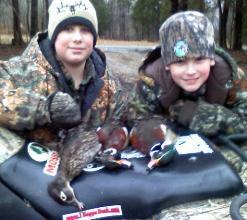 The once infertile pond becomes a fantastic fishing hole. Although an old phrase, it’s this particular circle of life that creates exactly what you want. Soil pH also plays an important part in determining how effective a fertilization plan is. In different locations you will find different soil types, which means the total alkalinity of water should be tested in order to see if your pond may require extras - like liming - before beginning a fertilization process. When it comes to liquid fertilizers, you’re talking about a messy, back-breaking job. A five-acre pond requires five gallons, plus 20 gallons of water, which means 225 pounds of material will need to be hauled by you in order to do the job right. With BioLogic’s Perfect Pond Plus, no mixing is required, no platforms and only five pounds per acre needs to be applied, making pond fertilization as easy as possible. Containing that micronutrient package, this fertilizer can be sent from the bank, off a pier, or can even be poured from the side of a boat. Therefore, with a breeze at your back, a five-acre pond can be fertilized from a single location. The fertilizer dissolves in the upper two feet of the pond, and can be distributed throughout the water by wind currents. When it comes to timing, most ponds require fertilization from March through October. It’s important to remember that you must fertilize when the water visibility is greater than 18 to 24 inches, because if the visibility is less than that it may mean that the pond has developed a heavy and potentially dangerous plankton bloom. Fishing will always be a sport everyone truly enjoys, and a well-fertilized pond makes the experience a great deal more fun. 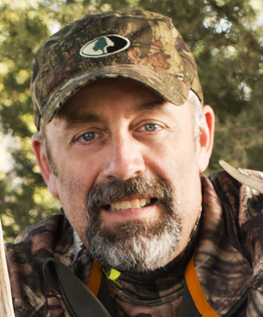 Not only does this process help the environment and increase the beauty of a natural habitat, but recreation and entertainment for the angler is highly increased. When it comes to even the smallest pond - just an acre or two - the right fertilization plan can literally make it seem like an ocean, producing plenty of harvestable fish. To maintain that incredible pond, harvesting is essential for the overall health of the watering hole you’ve worked to create. What many may not know is that more than seventy-five percent of ponds and lakes have an overabundance of small bass because of an inadequate harvest, so be selective. When it comes to Bass, make sure to catch the size that’s the most plentiful, and when it comes to the bluegill, make sure not to harvest more than fifty pounds per acre. After all, they’re the meal for the bass and need to be there. In the end, pond management is not a complicated process, nor does it harm the bank account. With a little effort, a commitment to seeing the pond thrive and the right fertilizer in place, your pond will become a wonderful resource.